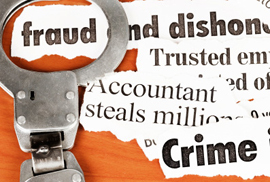 We prepare a professional report depicting the fraud perpetrated against you. The report is easy to follow and allows the Police and King County Prosecutor to easily file criminal charges against the suspect. It will include the narrative, the witness statements, diagrams, charts, spreadsheets, and any other pertinent evidence necessary for attorney analysis as required. We can provide this report to you on line, hard copy, as well place it on a zip drive for you. 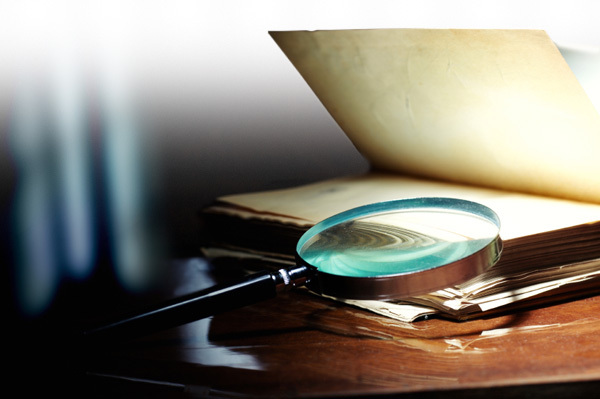 Be Prepared Investigative Services is always looking out for our client’s best interest. The term ‘Due Diligence’ refers to the process that ensures that an individual or entity is an appropriate and suitable partner for any business transaction. By obtaining more information about the subject, you the client are enabled to make a more knowledgeable decision. The results from BPIS due diligence efforts should help you better assess the business risks of the transaction as well as assist you with negotiations. Reliance on the financial records of the target business and verification thereof will not necessarily give the full picture since management of the target business may often not be as scrupulous as might be desired. Due diligence prior to any business deal, allow you to become familiar with the activities of the target before there is any commitment. Due Diligence Evaluation is a time-sensitive study that enables our clients to evaluate the potential acquisition of a property, franchise or any other business dealing, by effectively applying a wide base of legal and market knowledge. In addition, BPIS helps the client, as a potential business vendor, establish informed business plans for the management and operations of the other business, before the property has changed ownership or any other deal is finalized. The study assesses both hard evidence, but also business reputation and good name status. Finally, the Due Diligence Evaluation assesses the competitive positioning of the subject in the marketplace. By daring to be wise, you the client, gain a competitive knowledge, thus enabling you to make the right decisions, and bargain with a competitive edge. Due diligence is anything from checking references of a contractor to a full assessment of a financial institution. BPIS agents conducting due diligence investigation will customarily include background checks on the company, its directors and management team, independent verifications of statements made in the business plan, and studies of the company’s product and market. At BPIS, all inquiries are analyzed and conducted according to the clients specific needs. 8. Motor vehicles registered to the subject, registration plate numbers, description, and value. Protect your company’s imageA reliable and independent source of information like Be Prepared Investigative Services will enable you to make a more accurate decision with perhaps reduced risk. People and companies are well known for inflating company figures and boast about their capabilities. Doing business in certain parts of the world is risky enough on its own, so making the right decision with whom you can do business with, is the first step towards a successful venture. We provide civil and criminal trial preparation assistance to attorneys, including: locates, interviews of witnesses, strategy analysis, evaluations of witnesses, locating experts, jury selection, and all types of research and trial assistance. Our firm conducts the in-depth research, inquiries, and information gathering to help businesses make informed decisions when investing, merging, managing and/or hiring employees. Video surveillance, detailed claimant statements, and background checks are among the specialized services provided by BPSI to help businesses properly process claims and detect fraud. We provide consulting services with assisting you in resolving any code enforcement matter with any municipality within King County, Washington, involving housing, building, zoning, environmental, or any permit issue pertaining to residential or commercial properties. We also provide services to determine if you can construct your business or home within a particular municipality, and determine permit requirements. We will determine if your projects fits within the zoning allowed, whether your site can support a structure through independent geo testing of soils, determine what the setbacks are, height restrictions, design development standards, and determine whether your site poses any environmental hazards that are existing through property title history searches. If you need drawings or construction services, we can refer you to competent professionals.